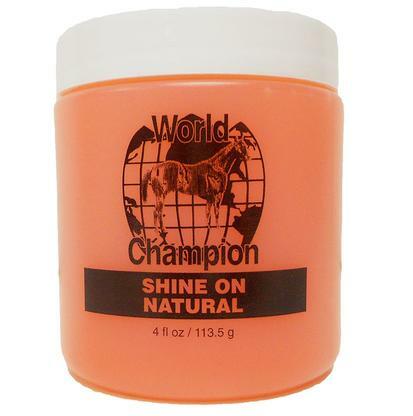 Shine On Natural brings out and enhances the natural color of your horse's skin pigments on the muzzle, eyes, and ears. The shine is long lasting and will not fade or disappear during the competition. This product does not stain clothing. 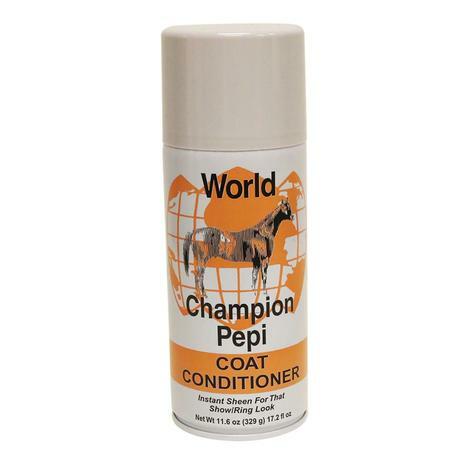 Pepi coat conditioner gives your horse that world champion show ring look. This spray formula gives the coat a gloss and conditions it. Easy to use and gentle on the skin and hair. Endorsed by professionals.